Sun Country Highway was proud to be part of the latest leap for renewable transportation in Saskatoon, SK. 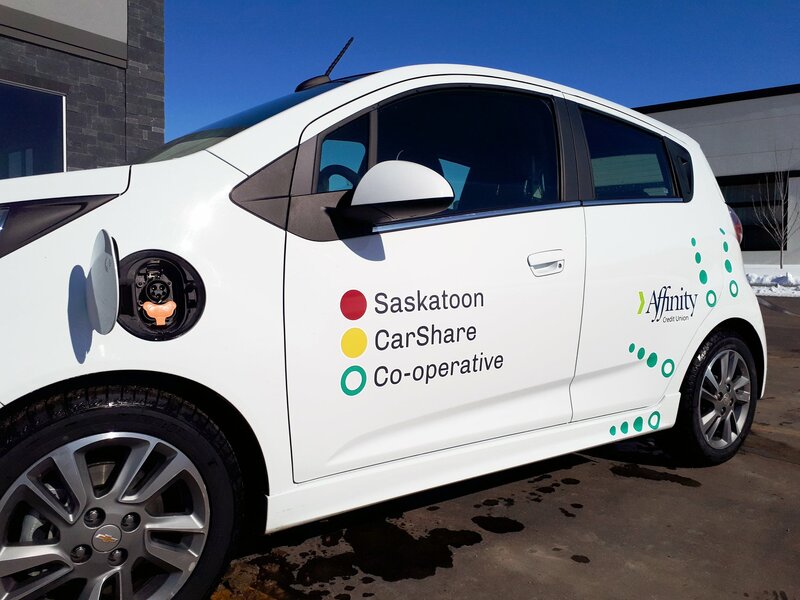 Where a handful of businesses and organizations have partnered with the Saskatoon Car Share Co-operative to launch Canada’s first 100% solar powered ride share vehicle. The new Chevy Spark is parked at the Affinity Credit Union building on Seventh Avenue North. The electric car can be driven for 140 kilometres before it needs a charge in warm weather, and approximately 90 kilometres during colder temperatures. Perfect for car share drivers who tend to use the vehicle for picking up groceries or heading to a meeting on the other side of town. 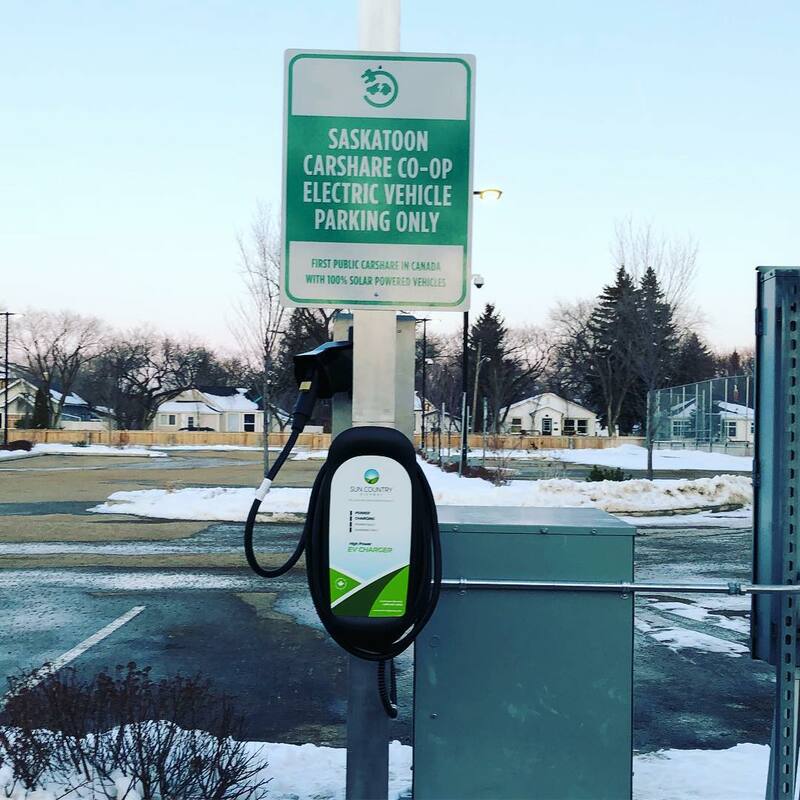 A Sun Country Level II EV Series charging station is powering the new ride share vehicle using electricity generated by Saskatoon Light and Power, gathered as solar energy. Sun Country contributed to the program by developing the IP, proving the charging hardware, and integrating the car share technology. Saskatoon Care Share program has 70 members, and growing. More emission free cars are to be added to the growing fleet in 2018.